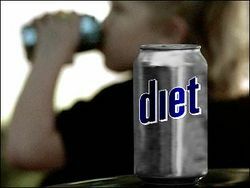 "Diet pop can be hard on your heart"
"Want to have a stroke? Keep drinking diet sodas"
"Diet Drinks Help Waist, But Still Lead to Heart Problems, Stroke"
"Drinking diet pop might increase risk or stroke"
If you don't look any harder you could walk away with the idea that drinking diet soda will lead to strokes. And if you're anything like me, this will lodge in your mind until the next sensational headline tells you something else that many people do on a regular basis is unhealthy and damaging. Does drinking diet soda really make you more likely to have a stroke? A stroke is damage to the brain due to a temporary interruption of the blood supply. It's very similar to the damage to the heart during a heart attack. What exactly is it in diet soda that makes it more likely for a stroke to happen? According to the articles this same risk isn't found in people who drink regular soda. So are we to assume that it's the artificial sweeteners? This is a perfect example of preliminary "science" prevented as fact used as a scare tactic. Many news sources have gotten honest about the source of this information, but many others have not. Retractions or good explanations of the methods don't make headlines, but scare tactics do. The correlation between diet soda and stroke was made in a poster presentation at the "International Stroke Conference." Poster presentations are not the same as peer reviewed medical journals and definitely do not carry the weight of medical consensus. This misinterpretation is not the fault of the scientists presenting the poster so much as the media drawing unsupported conclusions. Simply stated, the connection presented has not been studied enough to make the statements that a lot of news sources are making. 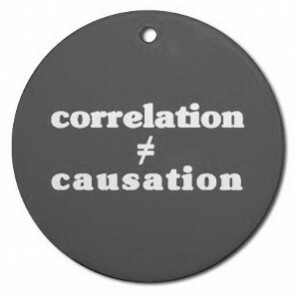 Most news stories do not bother to mention that correlation isn't the same thing as causation. There very well could be a correlation between intake of diet soda and stroke, but by no means does that mean drinking diet soda causes strokes. It's that the individual data points of stroke risk and diet soda intake are often found together. Perhaps overweight and obese people, who are clearly more likely to have strokes and heart attacks, are more likely to report drinking diet soda because they are attempting to lose weight. Perhaps there really is some stroke inducing ingredient in diet soda. The study that is referred to really doesn't make that evident. There needs to be a lot of research and verification to reach a point where causation of disease can be determined. The news media and others reporting the "drinking diet soda = greater stroke risk" are jumping the gun. They're not interested in reality as much as a good story. A story that might frighten you, but will hopefully be forgotten until the next scary headline. Is this ever done in dentistry? I think it is. I'll discuss that in another blog soon!